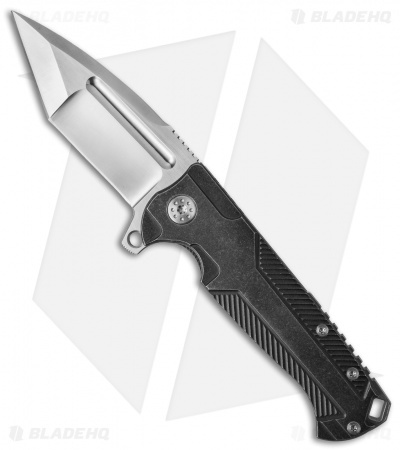 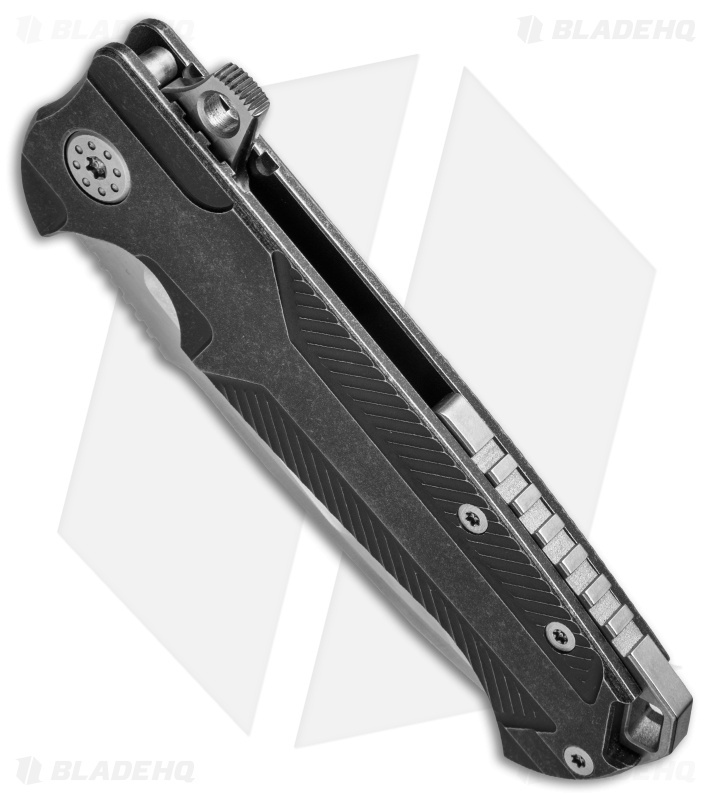 The AdV Ronin frame lock knife has a robust titanium handle paired with a compound ground tanto blade. This knife has a black stonewashed titanium handle and a satin blade. 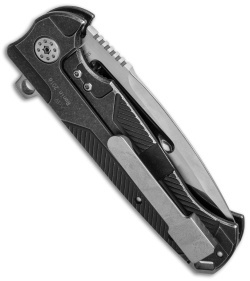 Great touches to the overall aesthetic include a milled titanium pocket clip and back spacer with lanyard attachment. Andre de Villiers Ronin folder will certainly appeal to the those who prefer a bit of substance in their knife.